On a recent Called to Coach, we spoke with Todd Johnson, Senior Global Channel Leader, Entrepreneurship & Job Creation at Gallup, and Dr. Sangeeta Badal, Principal Scientist, Entrepreneurship & Job Creation at Gallup, about recent developments regarding Gallup’s BP10 assessment in this quarterly update for fall 2018. The CliftonStrengths Summit is scheduled for June of this year (it’s been in July in other years), so if July hasn’t worked for you but June does, be sure to put the summit on your calendar this year and attend. About 100 coaches are currently using the Coaches Insight Report (CIR), and automation of the report is coming. If you’re not using the CIR, consider using it and check with some of the coaches who are using it. Gallup is looking for “studentpreneurs” in 20 cities across Nebraska to take the BP10 assessment -- not just high school students, but college students too. And coaches can take this into their states too, and it would be good if this could be in conjunction with a university. BP10 is something that can be incorporated into people’s transitional stages in life (in higher ed, moving into a career, changing careers, leaving the military, even release from prison, and so on). There is a new series with three sessions coming up, with some exciting celebrity candidates, for our webinar series on roles. Builders have different types of profiles. As startups mature and gain traction, role definition and clarification become essential. But often founding teams are not clear on how to go about this. So Gallup developed indicators of three critical roles (Rainmaker, Conductor, Expert) based on its conversations with startup teams. How do they map to the (10 builder talent) themes? There isn’t a one-on-one mapping between roles and themes. But certain themes contribute more to each role. For example, for Expert, more than 50% of the items come from Disruptor, Determination and Risk. For Rainmaker, all 10 contribute, but more than 50% of the items come from Profitability, Risk and Relationship. The themes that contribute most to Conductor are Delegator, Independence and Relationship. Individuals identified as Rainmakers have a high focus on sales and revenue generation. They are oriented toward the future and the growth of the business. They are persuasive and want to be the best spokesperson for the business. They know how to build relationships and leverage those for the benefit of the business. Conductors have high management talent. They know how to position talent in a role -- the right “fit” for employees. They are master delegators and are the ones who make things happen. Experts are focused on product development. They are self-reliant, independent individuals who don’t like to be micromanaged, and set a high bar for their own performance. They are persistent in terms of putting out things that are needed by the market. They are part artist and part scientist -- creative but also science-based. Rainmakers are most likely to start a business, but any of the three roles can do this. It’s important for people who start a business, whatever their role, to find a partner to take care of the business needs that the person starting it can’t do. Sometimes the individual is clearly one of the three roles, but it is also possible that an individual is a hybrid of these roles -- for example, Rainmaker Conductor. We have resources for coaches. The (Born to Build) book has a chapter on team building. You can use it with an existing team to get better role alignment, to identify gaps on the team, to help in hiring to fill the gaps. If the teams don’t exist, the tool embedded within the BP10 can help you form new teams. There will also be a new online learning tool available -- possibly in the first quarter of 2019. It’s an interactive online learning module for self-learning (15-20 minutes), to help individuals make sense of their report. It helps individuals make the connection between the results of their report and what they can do with those results. There are also avenues for individuals to find out more about their talents and how to use them. Getting back to the mapping between roles and themes, it’s best not to focus as much directly on the themes; instead, think about the aggregate of behaviors that are listed for each of the roles. Anyone who took the assessment before Nov. 20, 2015, will need to take it again. Contact Gallup Client Support if you have problems with retaking it. If you’ve taken it since then, the computer should be able to update it. In terms of the three roles -- Rainmaker, Conductor and Expert -- the several hundred thousand people who have taken the BP10 are split about one-third each among the three roles. In the Inc. 500 sample of entrepreneurs -- the future stars of the U.S. economy -- 49% were Rainmakers, 32% were Conductors and 19% were Experts. This is not surprising when it comes to starting businesses. For coaches, use the roles as an indicator of the “fit” of an individual on a team. It is possible that there will be roles that are hybrids. We are measuring potential for someone to be a good “fit” on a team, so there is a need for complementarity of roles. And even if an individual has high talent on most or all of the themes, that person won’t have enough time to take care of all the tasks that have to be done. Coaches should focus on the behaviors and on the 10 themes. The power of the roles is in the conversations that ensue, rather than focusing on the algorithms or how the assessment arrives at a particular score on a theme. The book has an example of a real-world team with two Rainmakers and one Expert. Coaches should read through this like a case study and look for the advice Gallup gave the team. “Building” is much more inclusive than entrepreneurship, and this naming is intentional. The reason for studying builders is that Gallup wanted to capture the entrepreneurial thinking process, and that process is something that can be used by any individual working for any employer, irrespective of the workplace structure. Companies need to continuously think about where their next growth is going to come from. All companies have this problem, and so they need to help their employees think more entrepreneurially. And that’s where the builder science comes into play. It’s not so much the practices and processes of startups -- which some companies adopt, hoping that transplanting those methods will make them more entrepreneurial). But they forget that the piece that makes them more entrepreneurial is the human piece. In 2016 (the most recent year for which data are available), 433,000 businesses were born and about 400,000 died, according to the U.S. Department of Labor. Student debt can play a part in holding back builders because of the amount of debt students have when they finish college. Chat room question: Can we use CIR (Coaches Insight Report) as a selection tool? Yes, as a piece of an interview -- it should not be the only data considered. BP10 is available in seven languages. Not all background and supporting materials are available in those languages, but the assessment and report are available and functional in those languages. Sangeeta Badal, Ph.D., is the Principal Scientist for Gallup’s Entrepreneurship and Job Creation initiative. Dr. Badal’s research focuses on understanding the determinants of successful entrepreneurship, with special emphasis on the role of psychological factors in entrepreneurial decision-making. Her research has appeared in the Gallup Business Journal, Forbes and The Washington Post. Dr. Badal has worked with many public and private organizations, educational institutions and economic development agencies on issues related to job creation, entrepreneurship training and development, business performance management and program evaluation. Dr. Badal is the coauthor of the national bestseller, Born to Build, with Gallup Chairman Jim Clifton. Dr. Badal earned her doctorate in anthropology and geography from the University of Nebraska-Lincoln (UNL). She was formerly a faculty member at Miami University in Oxford, Ohio. 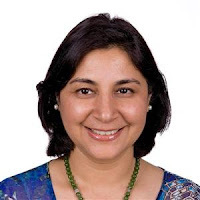 Sangeeta Badal’s Top 5 strengths are Competition, Maximizer, Strategic, Learner and Achiever.